In ticket #35566 there is new tag cloud widget coming up with accessibility improvements. For bundled themes there is also general ticket #40138 for tag cloud widget. This is ticket for Twenty Seventeen to output tag cloud widget as a list. Twenty Sixteen have an example how to use widget_tag_cloud_args for same font size. Let's add $args['format'] = 'list' in there. 40184.diff​ (2.2 KB) - added by sami.keijonen 2 years ago. 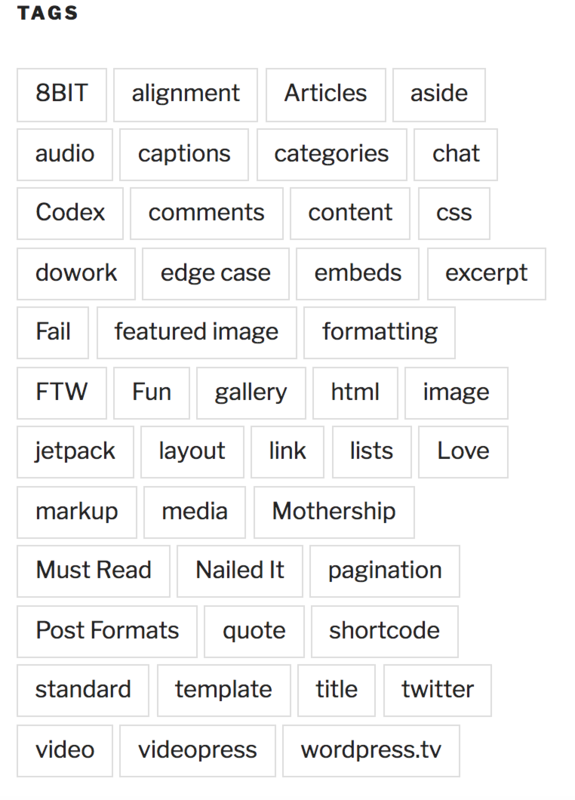 Tag Cloud Widget.png​ (3.4 KB) - added by lukecavanagh 2 years ago. 40184.1.diff​ (2.2 KB) - added by sami.keijonen 2 years ago. 40184.2.diff​ (2.2 KB) - added by sami.keijonen 19 months ago. Screen Shot 2017-10-03 at 7.35.45 PM.png​ (26.3 KB) - added by davidakennedy 19 months ago. 40184.2.patch​ (421 bytes) - added by davidakennedy 19 months ago. Adds RTL styles for new ul based tag cloud. This ticket was mentioned in ​Slack in #accessibility by sami.keijonen. ​View the logs. Patch applies cleanly and works as expected. This ticket was mentioned in ​Slack in #accessibility by adamsoucie. ​View the logs. Now that new tag cloud widget is in trunk I added new 40184.1.diff where I only changed version number to 1.3: @since Twenty Seventeen 1.3. I modified version number in the 40184.2.diff and added space after @param. Tested that markup changes to list format and design keeps the same. In the widget settings Show tag counts also works as should. 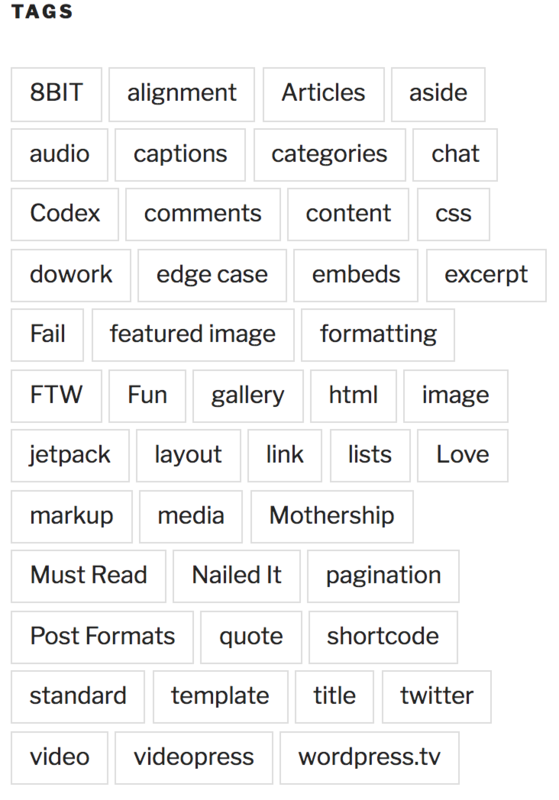 Twenty Seventeen: Change tag cloud format to a list (<ul>) for better semantics and accessibility. List markup allows screen reader users to know in advance how many tags are within the list. Thanks for the work here @sami.keijonen and for the merge @SergeyBiryukov! I noticed this also in #40138. Thanks! I forgot all about the RTL styles. Twenty Seventeen: After , adjust RTL styles for tag cloud widget.